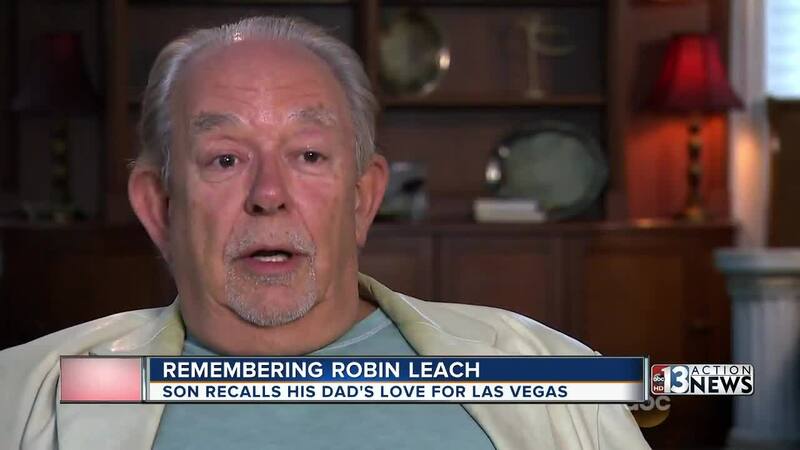 Robin Leach's son talks about his father and his love for Las Vegas. 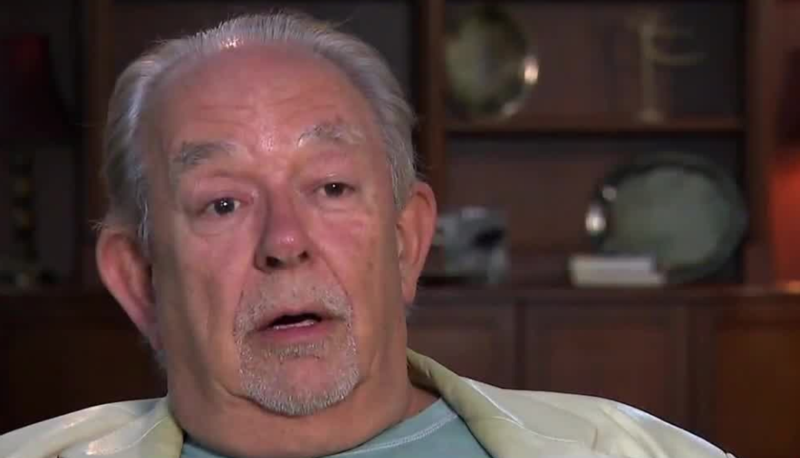 Robin Leach has died after suffering a stroke. Robin Leach, who rose to fame as the host of "Lifestyles of the Rich and Famous," had a stroke in November of 2017. He reportedly had a second stroke on Monday. The Clark County coroner confirmed that Leach died around 1:50 a.m. Friday from natural causes, specifically a stroke. Leach, who was born in London in 1941, would have turned 77 on Aug. 29. He was initially treated at The Cleveland Clinic on Ohio but returned to Las Vegas in June. He was at Nathan Adelson Hospice, located at St. Rose Dominican, San Martin Campus, at the time of his death. In June, his son Steve Leach said that his dad's road to recovery is a "long and difficult one" but he believed that his father will get there with continued support of family and friends. “Despite the past 10 months, what a beautiful life he had. Our Dad, Grandpa, Brother, Uncle and friend Robin Leach passed away peacefully last night at 1:50am. Everyone’s support and love over the past, almost one year, has been incredible and we are so grateful. Memorial arrangements to follow,” said a statement from Leach’s son Steven, which is also attributed to Gregg and Rick Leach. Leach helped launch The Food Network and moved to Las Vegas in 1999 to work with celebrity chefs at The Venetian Las Vegas. His coverage of arts and entertainment in Las Vegas began with the Las Vegas section of America Online, and he operated his own successful website, VegasDeLuxe.com, for 8 years at the Las Vegas Sun before moving to the Las Vegas Review-Journal in 2016. Leach was very involved in the Las Vegas community and would often host or participate in fundraisers for various charities and nonprofits around town, including the Cleveland Clinic Lou Ruvo Center for Brain Health and Keep Memory Alive center. Cleveland Clinic Lou Ruvo Center for Brain Health and Keep Memory Alive are deeply sorrowed by the loss of our dear friend, Robin Leach. His support over the years has been unwavering and our thoughts go out to his family, friends and loved ones. Since relocating from New York to Las Vegas in 1999, Robin partnered with Larry Ruvo in wrangling entertainment and chefs, lent his voice as an auctioneer or emcee and persuaded his Rolodex of the rich and famous to donate extravagant items for auction for Keep Memory Alive’s Power of Love® gala. The star power at all of Keep Memory Alive’s events truly is representative of Robin Leach’s passion. He never said ‘no’ to a meeting or conversation about ways to help the Lou Ruvo Center for Brain Health’s patients, caregivers and families. Thank you for all you’ve done for us; we’ll keep your memory alive forever. MGM Resorts International also released a statement. Las Vegas has lost one of its biggest cheerleaders with the passing of Robin Leach. He will forever be part of the legacy of the Entertainment Capital of the World and will be missed greatly. With every show, every round of applause, every opening, he will be remembered and celebrated.